If you’re looking for an impressive compact crossover SUV that has the features and the drive that make it more enjoyable for you on the road, the Mitsubishi Outlander Sport should be one that you consider. This SUV comes to you with a generous level of equipment to make the drive right and a lengthy ten-year/100,000-mile powertrain warranty to give you the peace of mind you’re looking for. This can be the right SUV for you when you see the amazing deals offered at the dealership you trust near Gretna, LA. The right place to find the impressive drive and value offered of the Mitsubishi Outlander Sport is at Ray Brandt Mitsubishi. This dealership location has the inventory and the deals you’re looking for to make the drive right for you. Stop by and take a test drive with the experts at this dealership location and learn more about what this compact crossover SUV has to offer you today. You’ll be amazed by the variety of items you can choose and the value that makes this the right choice when you want to drive. The 2019 version of the Mitsubishi Outlander Sport brings you more safety equipment into the SE model with blind spot warning, rear cross traffic alerts, and lane change assist to help you when you drive. The GT model brings even more safety into the mix with forward collision mitigation, lane departure warning, and automatic high beams added to the mix. With the added safety offered, you’ll feel great about the deals offered for this SUV and be ready to take it on the roads near Gretna, LA after you secure one of those great deals. If you view the Mitsubishi brand as only a bargain basement brand, you need to take a good look at what’s offered. The Outlander Sport is offered with the benefits of the connectivity you desire with Apple CarPlay and Android Auto. These programs are brought to you on a seven-inch screen that looks great and makes it easy for you to stay connected when you’re on the road. This SUV has what you need so that you can enjoy the ride while remaining an affordable choice to make it an SUV that offers you the value that you desire. 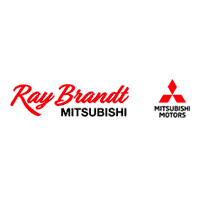 Once you see the amazing Mitsubishi Outlander Sport deals offered at Ray Brandt Mitsubishi, you’re going to want to see this team for the SUV that’s right for you. Stop by, check out all the trim levels, take a test drive, and choose the SUV that has what you’re looking for. You’ll enjoy your daily drive on the roads near Gretna, LA with this SUV that has a long warranty, the tech you want, and the price that makes it an affordable choice. This SUV makes a lot of sense for you; stop by and choose yours today.